Do you want your wedding to be a complete and total disaster? Would you prefer if chaos ensued and nothing happened the way it was supposed to? Maybe you want one single detail to throw the whole affair off kilter in a traumatizing but poetic sort of way. If so, check out our 5 ways to plan a disastrous wedding…or you can avoid these things if you’d like your wedding day to go smoothly! Everyone waits to see the cake at a wedding. It’s like the centerpiece of the whole day. 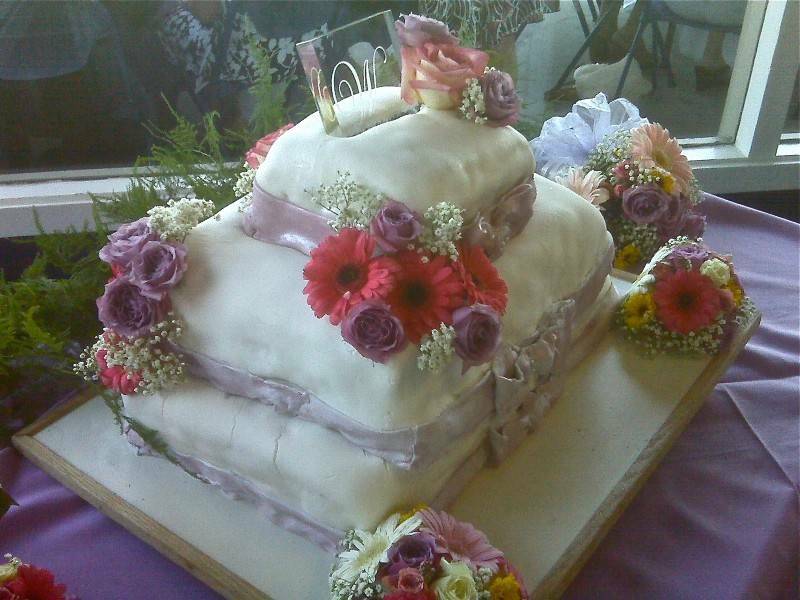 Ruin your wedding the right way by hiring an inexperienced cake decorator. Forget about checking past work or asking for references – just leave it up to fate! There are a few levels to this disaster. First, wait until the day before your wedding to get your spray tan. This way, there’s no time for it to wear off before you put on your gown. Next, ask for a super dark shade. I mean, go at least five times darker than normal. You’re sure to come out looking more like a dried orange than a sun-kissed bride. Just think of the photos! While we’re changing our looks, go ahead and get a drastically different haircut the week before your wedding. Be sure to get an inexperienced stylist so hopefully the cut looks terrible and makes you cry when you look in the mirror. It sure beats sticking to that same old (and tried and true) hair you already have! So your cousin Joe plays guitar sometimes, does he? Might as well hire him to provide the entertainment. Or, even better, one of your family members knows someone who knows a band and they’d be happy to play. Won’t it be great when they show up and you hand them your request list and find out that they only know Slayer and Megadeath songs? This is the perfect way to plan a disastrous wedding – people are sure to be talking about it for years to come. The most important way to plan a disastrous wedding is to wait to book the venue. Don’t book it 6 months in advance like most brides – just wait until the week before and call to see if they’re available. Chances are, they won’t be, so you will have to settle for whatever you can find. Perhaps there’s a local bar with a dance floor large enough to accommodate your guests. Okay, okay. Enough with the tongue-in-cheek. Whatever you do, avoid these mistakes actual brides have made when planning their wedding. Give yourself plenty of time by booking well in advance, hire experienced vendors, and stick to your normal look (at least until after the wedding)! By doing so, you can avoid potential disasters on your wedding day.